What a great gift of love for you, your family or a friend. Katareece Cattery has beautiful, loving, playful and healthy kittens available to loving homes. 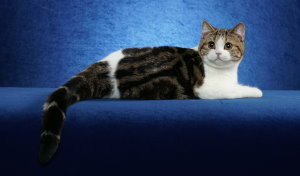 We started our cattery in 2001 with Scottish Folds but now primarily breed British Shorthairs. You can see our Folds on the Past Males and Past Females pages of our website. 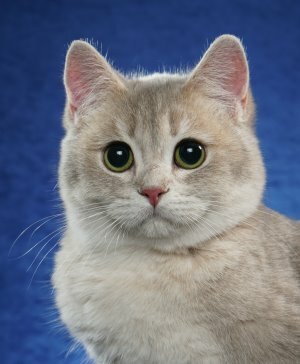 We breed for top quality British Shorthair cats and kittens. 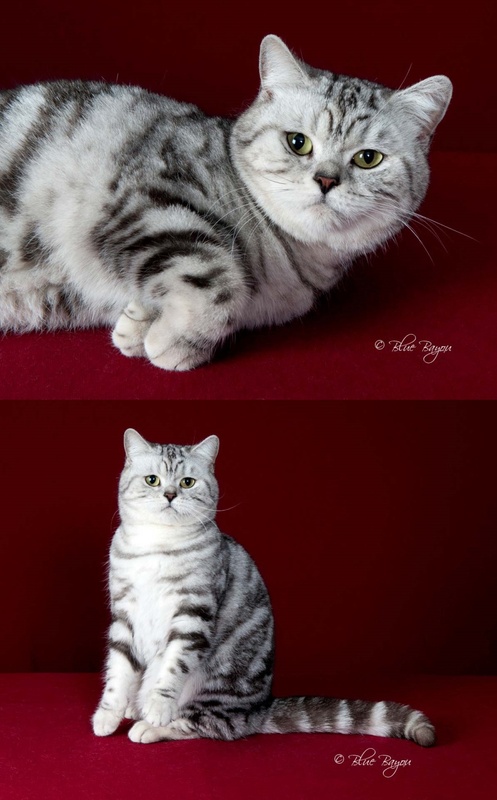 We specialize in shaded, spotted and classic silver tabby kittens but also have kittens in traditional colors of blue, blue-cream, cream, bi-color and calico of show, breeder and pet quality. The health of our cats and kittens is very important to us. We work very closely with our veterinarian to keep all of our cats healthy and all of their booster vaccinations, worming, and health checks up to date. We have always tried to have the best quality males and females in our breeding program. 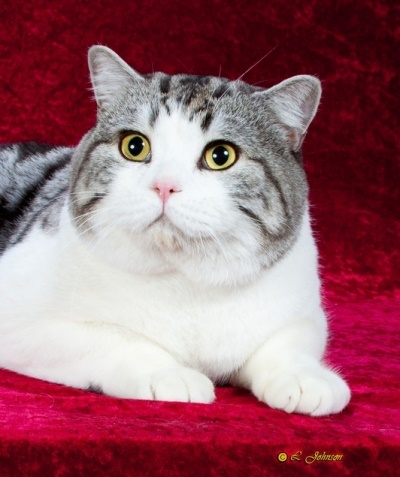 We have bred and shown many champions, grand-champions, regional winners and to date one national breed winner (Scottish Fold) . We screen for health problems prior to breeding. All breeders are FeLV and FIV free and DNA tested negative for PKD. Each kitten we sell comes with a health certificate from my vet and a written sales contract. Pet-quality kittens will be spayed or neutered before we sell and ship them. Breeder and show-quality kittens are available to responsible breeders and show homes. We want our babies to go to the perfect home. Potential kitten buyers should be caring, loving and provide a safe, clean indoor home where the kitten will get lots of affection and love. Regular grooming and veterinary visits should also be provided. We are located in beautiful Danville, Arkansas in Yell County. You may remember Yell County from the movie True Grit starring John Wayne. We are ten minutes from the town Dardanelle that they talked about in the movie. We are located in the central part of the state and can easily ship from the Little Rock National Airport (LIT). We ship anywhere in the United States and overseas. Our cats live in almost every state in the USA and in many countries in the world. You are also welcome to pick up your kitten at our home or in some cases we can meet you at one of the cat shows we are showing at with your new kitten. If you are interested in one of our beautiful kittens please E-mail me or call and let me know what you are looking for. I will then help pair you with the perfect kitten. I will be here to provide advice or support after the sale that might be needed as you adjust to life with your new kitten. Over the years we have made many friends through our cats that we would have never met otherwise. We love our extended family of fellow cat lovers. Many of our clients and friends have become repeat customers and bought more than one cat and have referred many others to us for a special Katareece kitten and for this we are so grateful. Hosted by OmniArk Web Services of Mena, Arkansas. Questions about page, contact Webmaster.